Welcome to la belle Provence! 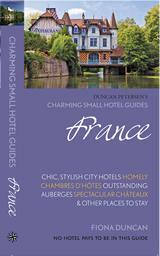 This site is about living in, and traveling around, the South of France. I’m a 40-ish American woman, born & raised in Southern California, and I’ve been living in Provence for 9 years. In 2007, I took a break from my much-loved career in higher education to experience a *mid-life* adventure in Rome, Italy. After a few years of English teaching (and living the dolce vita on a very slim budget) I met my French husband-to-be at a Christmas party. I didn’t speak a word of French and never imagined getting to know the French people and their culture… let alone falling in love with the place I now call home. It was a long personal journey moving from Italy to France, and it took me about 4 years to speak decent French – one of the biggest challenges I faced moving here. In fact, one of the biggest challenges I’ve ever faced – it’s one tough language. I’m still learning every day, but my life has become a lot fuller since I crossed that bridge and I’m very thankful for the kind French people who helped me along the way. My husband Nicolas is a self-proclaimed expert in “eating” and provides much of the French-background for the posts. About 90% of his explanations involve the phrase “it’s complicated”, which really explains about 90% of living in France. After 7 years of living in the coastal city of Toulon, we moved just outside the village of Ollioules in the fall of 2017 (10 minutes from Toulon). We live in the Var department and much of this site is dedicated to places we visit in the region – like our favorites Bandol, Sanary-sur-Mer, Le Castellet, and the “off the beaten track” villages that make up Provence Verte (Green Provence). We’ve also fallen in love with Cassis, Aix-en-Provence, Avignon, Saint Rémy de Provence, and Isle-sur-la-Sorgue – just to name a few. Provence is a big and beautiful place, there’s a lot to love. 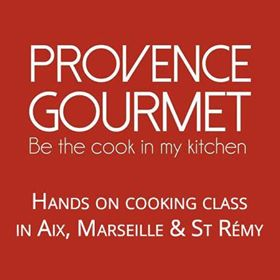 I really enjoy learning as much as I can about the South of France, so please don’t hesitate to contact me if you’d like to contribute to this site in the My Provence section. Thank you for taking the time to stop by, à bientôt! 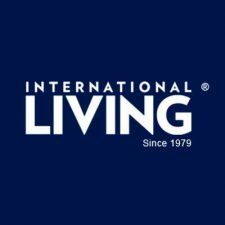 Since starting Belle Provence Travels, I’ve contributed to International Living magazine, Expedia online Paris guide, Living France magazine, and Charming Small Hotels France Guidebook. Isabel and I are living in New Hampshire.Our daughter and family live in London.We have very close french friends for over 30 years.We have been to France many times over the years and love it. Two years ago we stayed one night at a town just inland from Salon de Provence named Aurons. We stayed at “Chateau Petit Sonnailler”and it was lovely. I started looking into France just about a year ago, and the more I read and look at different places (Primarily in the south of France) the more it just feels right for some reason, I don’t really know why. I am 28 and have live in Kansas, USA. my whole life. This from the start just seems like the next step for me. My family thinks I am crazy, they may not say it (well my brother does) but I know they do. A lot of people I talk to say that I will never be able to get citizenship, and even if I did the taxes are so high I would never make a living, if I could even get a job, because the French will not hire a foreigner. All three of these seem fishy to me, what are your thoughts? Anyway, my long (or short) term goal is to buy a Chateau in the south of France (I know you have heard that before I’m sure LOL ) I’m not a city guy, and like being out from the towns a bit. So it would be a dream place for me. Hi! Yes, moving to France can be a challenge to say the least! I would say that the most important thing, besides learning French of course, is to know where your income is coming from once you arrive. You can find a job, if you look hard enough, and the bigger cities are best for this. You just need to know what field you want to work in when you move and above all, try to hook something up before you get here! You can make a living here, taxes are high but remember health care and a lot of other “perks” are included. Good luck! Nice to read your blog. I live part of the year in Sanary/mer with my Amecican husband! I put some local information in my blog http://provence-coast-travel.com Bonne continuation et bel automne a vous. Lovely site! My husband and I will be traveling to France in the spring (end of April/beginning of May). We plan to spend a few days in Paris then head to Provence where we would like to rent an Air B&B. From there we will take small trips out to explore. What we like to do on holiday is stay in an area where we can immerse ourselves in the culture and “live like locals” – walking to cafes, markets, etc. (not in typical tourist hubs). Do you recommend an area in Provence for us to stay? Keep up the helpful blogging! Some on the list can be a bit touristy… so I would recommend to pick a less-busy one that’s close enough to the “big sites” like Avignon, but let’s you get lost in village life. It’s a very beautiful part of Provence!